The breakthrough was led by a team of plant scientists at the University of Glasgow and is published today in the journal Science. The researchers used a new, synthetic light-activated ion channel, engineered from plant and algal virus proteins, to speed up the opening and closing of the stomata – pores in the leaves of plants—through which carbon dioxide (CO2) enters for photosynthesis. 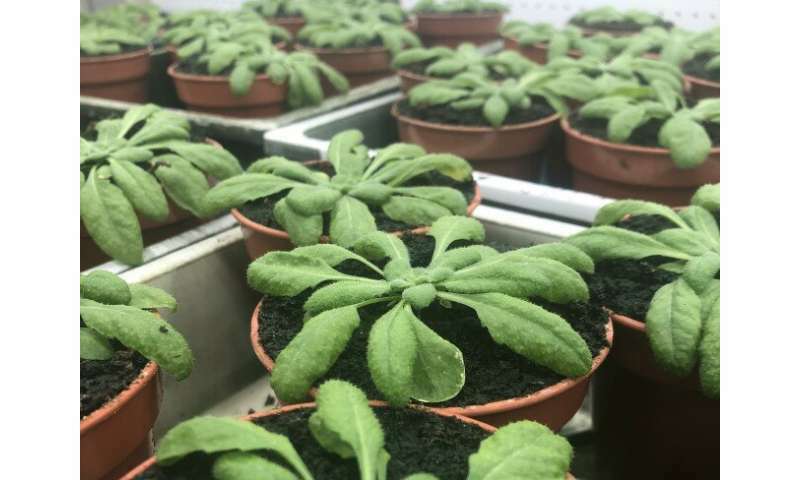 The scientists' modified plants grew as normal and substantially better under light conditions typical of the field, fixing more CO2 while losing less water to the atmosphere. The researchers studied the plant Arabidopsis, a member of the mustard family. 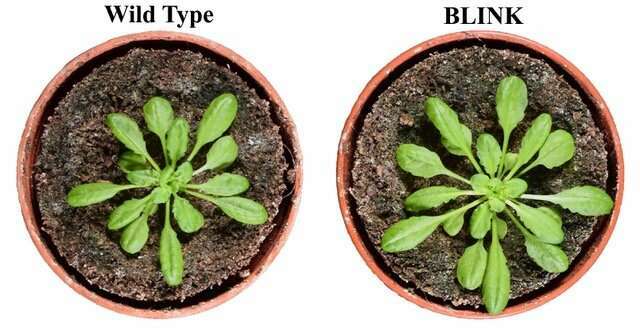 Using the light-activated ion channel, called BLINK, the plant's stomatal responses were accelerated and better synchronized when grown under fluctuating light – conditions which are typical of the natural environment (e.g. when clouds pass overhead or when shaded by neighboring plants). The engineered plants demonstrated improved growth and biomass production whilst also conserving water. Co-corresponding author Prof John Christie, from the University's Institute of Molecular, Cell and Systems Biology, said: "Our findings demonstrate the feasibility of improving the efficiency of water use by plants while making gains in photosynthetic CO2 assimilation and plant growth." Prof Mike Blatt added: "Previous efforts to improve plant water use efficiency have focused on reducing stomatal density, despite the implicit penalty in CO2 uptake for photosynthesis. Alternative approaches, like the one we have used, circumvent the carbon-water trade-off and could be used to improve crop yield, particularly under water limiting conditions." Lead author Maria Papanatsiou said: "Plants must optimize the trade-off between photosynthesis and water loss to ensure plant growth and yield. We adopt a well-established approach used in neuroscience, called optogenetics, to better equip stomata that are essential in balancing CO2 uptake and water loss. "We used a genetic tool that acts as a switch allowing stomata to better synchronize with light conditions and therefore enhance plant performance under light conditions often met in agricultural settings."